We currently host public courses in London, Bucharest and Cluj as well as a number of other major international cities. We source the best trainers to teach our classes, as well as enforcing a strong commitment to courseware, learning facilities and activity based learning. Our course material is developed by our knowledgeable instructors who partner exclusively with us in the UK. When not training for us, they work on projects using the methodologies and technologies they teach. All of our trainers are also actively involved in consulting, speaking at conferences and writing books, articles and blogs. Rather than relying on PowerPoint presentations, our trainers employ a wide range of teaching techniques to aid the learning experience of our delegates. These tools include the use of exercises, real project experiences, codebases and group collaboration. Feedback from our delegates after each course is of paramount importance to us. A strong commitment to this feedback allows us to continually ensure we are meeting our delegates' needs and delivering the very best possible learning experience. This attention to the needs of our clients and delegates has led to us receiving excellent feedback on all our courses and cultivating many on-going relationships. We are a small, lean and efficient team with a level of experience, enthusiasm and diversity that cannot be replicated elsewhere. Our people are our greatest asset. 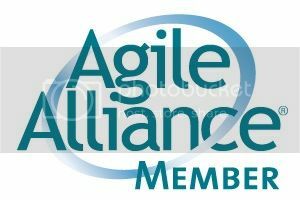 We embrace the Agile approach adapting to change quickly and focus on a flexible, holistic development strategy. Our team works as a unit to reach our common goal of providing excellent customer service and maintaining a high quality learning experience for all of our clients. Do you have further questions, or just want to have a chat about your learning requirements? Send us an email and we promise to answer your questions within 24 hours. Lucky is the founder and CEO of Learning Connexions and is in charge of the overall operations and strategy of the company. Lucky has a strong passion for holistic learning and development, Agile methodologies coupled with an extensive background in software consultancy and expertise in developing high-end training and career development programs which spans bespoke in-house training, public courses, one-day workshops and focus groups. Lucky also supports many community groups such as women in technology, London Java Community, Scrum Alliance, Women in Telecoms and Technology and anything else that gets more women into this wonderful world. Lucky holds a post-graduate diploma in human resource development (PgDip HRM), a master’s degree in Organisational Learning and Development (MA) and is a Chartered Member of the Chartered Institute of Personnel Development (MCIPD), a professional member of BCS (MBCS) , a Certified Scrum Master (CSM), Certified Scrum Product Owner (CSPO) and a Certified Scrum Professional (CSP). You can find further details here. Amaad joined Learning Connexions as Business Development Manager and brings to the team a wealth of experience in Sales & Marketing as well as a knowledgeable background in IT and an enthusiasm for new innovations in technology. Amaad is a Certified Scrum Master (CSM) who will be focussed on developing marketing and social media strategy, building our online presence, managing key clients to consolidate their learning and development programs through instructor led technical training as well as initiating and hosting community focussed events. Vlad joined Learning Connexions as a Marketing Executive and brings a wealth of experience in both digital marketing and IT training, having worked both as a marketing consultant and as an ECDL trainer in the past. He is working to develop our marketing strategy and support our developer community both locally and internationally as we expand our course network outside the UK. Vlad has a master's degree in Marketing (MSc) from Manchester Business School and is a self-declared technophile, but his main interests are UX, mobile platform development and augmented reality. Jay is our Office Manager and responsible for all administrative functions, accounts, credit control and general enquiries. Jay is an experienced administrator and previously worked as an Executive Officer for the Home Office and Head of Admin at Affinity Homes. Jay is also a Certified Scrum Master (CSM) accredited by Scrum Alliance and AAT Level 2 practitioner.